A fundamental element to making a building energy efficient is to reduce the heat loss through the building fabric i.e. walls, roof, windows and doors. We have a simple policy of 'fabric first' to ensure buildings have the greatest potential to deliver affordable warmth and the lowest energy bills. With an estimated 3 million homes in the UK having failed insulation either within the cavity or externally applied, there is potential for a catastrophic health risk to the building occupiers. LCX can not only diagnose the failings within a property, but more importantly we're experts in delivering long-term effective solutions. External Wall Insulation (EWI) does exactly what it says on the tin, it’s just like wrapping your property up in a blanket. Not only does it reduce energy bills by reducing the amount of heating required in the property, it also weatherproofs the outer walls. Low Carbon Exchange have professional, skilled and experienced operatives who specialise in EWI installation programmes and project management. From small, detached rural bungalows to inner city tower blocks, LCX have consistently delivered high quality projects for our clients. The recommended depth of loft insulation (glass or mineral wool) for a loft is 270 mm. If your properties already have insulation, but it was put in some time ago, it's worth checking the depth, as only a few years ago the recommended depth of insulation was 200mm, and before that it was as low as 100mm. 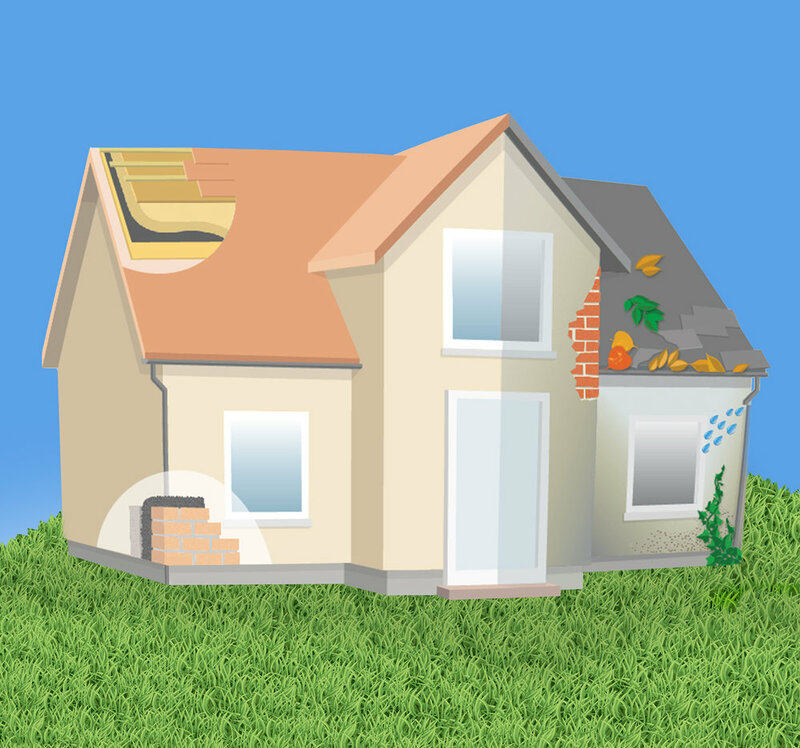 A quarter of heat is lost through the roof in an un-insulated home. Insulating a loft is a simple and effective way to reduce heat loss and reduce heating bills. Loft insulation is effective for at least 40 years and it will pay for itself many times over. 270mm of insulation can save as much as £215 off heating bills a year on a detached property and it’s great for the environment saving nearly a tonne of carbon per year. If you have housing stock built before the 1990s, these properties may not have any wall insulation and could be losing lots of heat through uninsulated walls. Retro fitting cavity wall insulation is the most cost effective solution as it’s fast, clean, convenient and non-intrusive for the building occupier. Cavity Extraction - There are many reasons for failed wall insulation: slump, blocked cavity, sparse fill and insulation breakdown. All of these usually lead to high heating bills and an increased chance of damp and mould. We specialise in all aspects of failed cavity repairs, from replacement wall ties to evidenced and documented clearance in accordance with Stroma and Oscar cavity wall clearance scheme. Cavity Fill - Whether it is a virgin cavity or a refill after clearance we use BBA approved bonded bead insulation products with a 25 year insurance backed guarantee. This ensures a long-term fix for properties with failed cavity issues.